Below are details for an IOTA occultation campaign of particular interest to RECON teams from Klamath Falls OR to Kingman AZ. This will be a long event (11.1 seconds at centerline) involving a target that is high in the sky early in the evening. It is also a great opportunity for all RECON teams to practice regardless of location. Note that the information below is not presented in the standard RECON format because this is a main belt event predicted using IOTA tools. Print this page along with the Detail Page above and practice finding field prior to event. 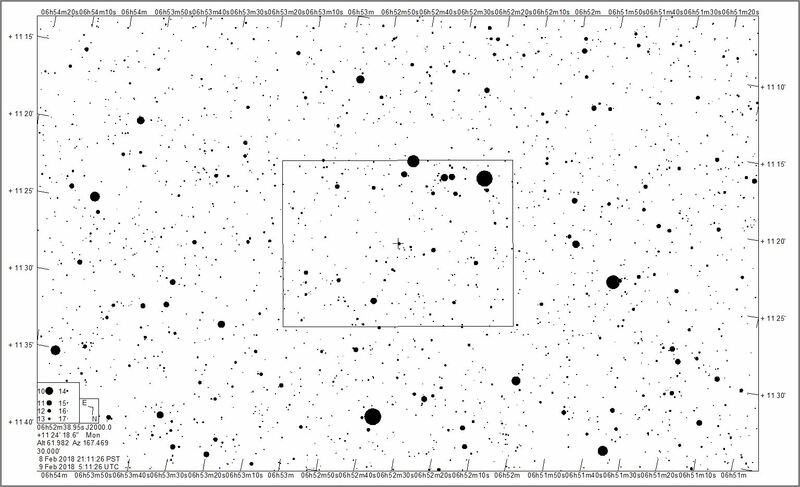 Star chart for (191) Kolga provided by Jerry Bardecker using Guide 9.